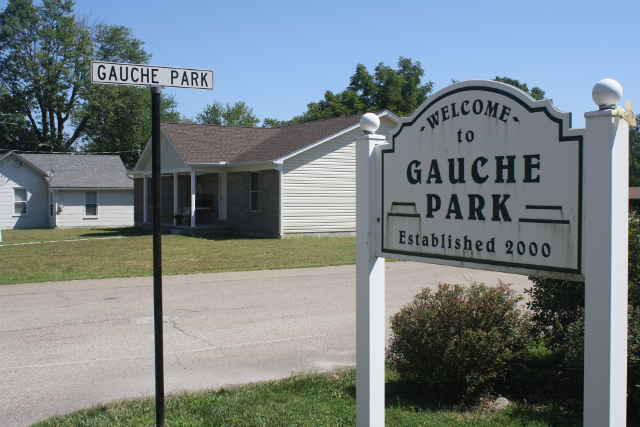 If you haven’t heard of Gauche Park, it’s not because it’s nothing special, in fact, it is very special and is well worth a visit. Located at 410 South Broadway St., Owensville, OH, 45160, a ‘Gauche Park’ street sign identifies the turn off South Broadway St. (Rt. 276), leading you to a nicely paved parking lot, complete with trash cans and a large shelter that is available to rent. There is a playground right off the parking lot as well, with large climbing equipment and swings. We arrived at 11:00 a.m. on Sunday, August 7, 2016. It was 80 degrees and sunny with a mild breeze. The trail is paved with asphalt and forks to the left and right immediately. We went left first to get a closer look at an old log cabin sitting on the property. The cabin was interesting but there were no information signs of any kind near it, the trail quickly circled back to the parking lot, so we turned around and headed the other direction. 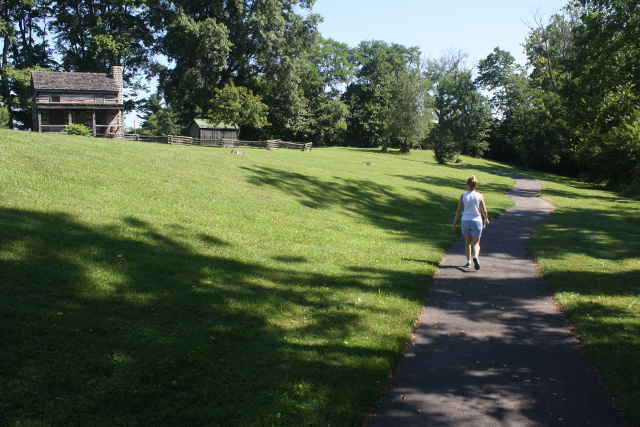 The trail sloped up hill and circled a large grass area with trees lining the outside of the trail. Behind the trees were fields and the back of some houses including a stable where we could see a horse nibbling on grass. 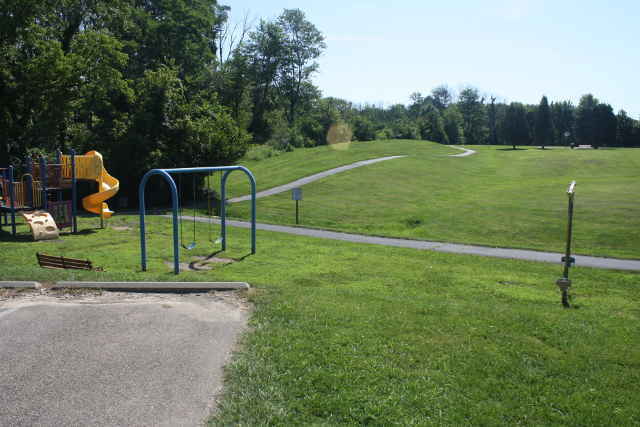 There were benches periodically along the trail, exercise stations, and frisbee golf equipment in the middle of the grass area, and everything was kept in excellent condition. With all those things to do, however, our only company was one jogger, so the butterflies, birds, dragonflies, and chirping cicadas made for a very scenic and calm walking experience. The trail circled back to the parking lot with 1/2 mile marked at the end. We walked it three times to get in a good walk. The sloping up and down, stretches of shade, and wonderful condition of the trail made it possible to walk fast and get in a good work-out. Restrooms: There was a small brick building in the parking lot with men’s and women’s restrooms, but it was locked and could not be used. 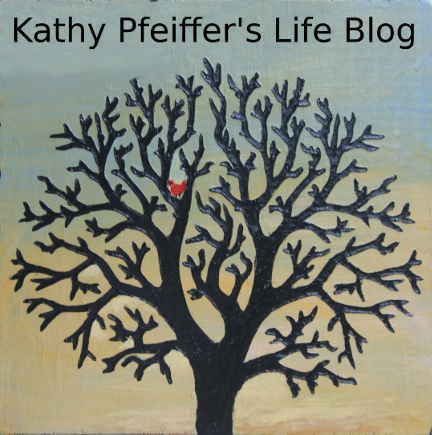 Traffic Noise: There was little or no traffic noise throughout our walk. 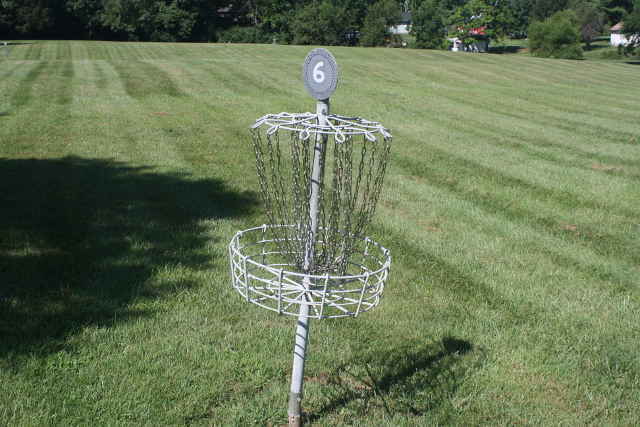 Interesting Features: Besides the clean and well-maintained trail, picnic shelter, and parking lot, the permanent baskets for golf frisbee, also called disc golf, were pretty amazing. Instructions and rules for playing the game were posted on a glass-covered sign. The grass in this area was smooth, without weeds or sticks, and neatly mowed. Historic Points of Interest: The house alongside the entrance to Gauche Park belonged to Agnes Gauche. 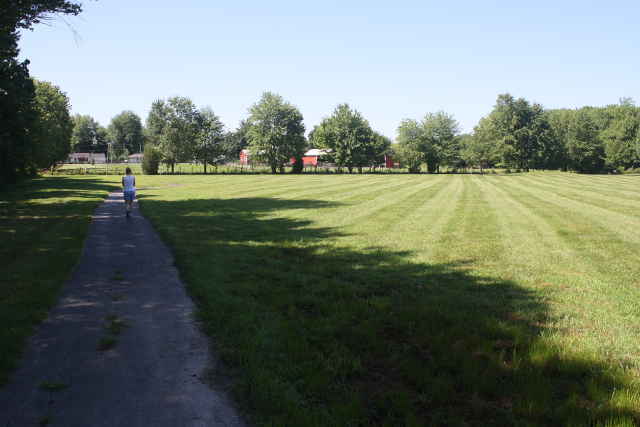 Agnes had served on Owensville’s City Council for ten years, and after her husband died, she donated her house and the nine acres behind it to Owensville. 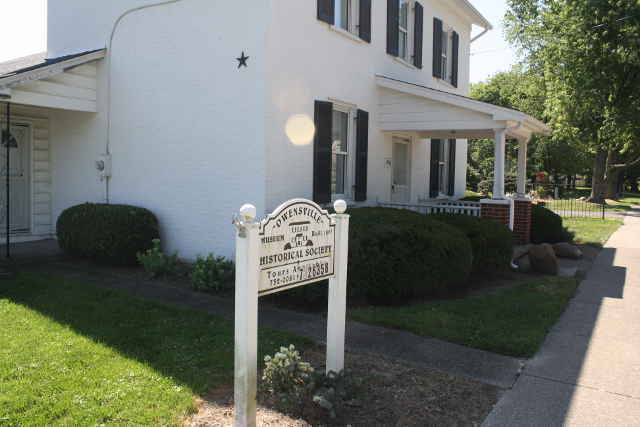 The village turned the land into a park named after the couple and the house now serves as the Owensville Historical Museum. That house was also the birthplace of John M. Pattison, the 43rd Governor of Ohio. Governor Pattison was the shortest serving Governor in Ohio, however, having died six months after being elected in 1906. Overall Rating: Even though we weren’t completely immersed in nature, we found this a very enjoyable, clean, and convenient place to walk. There was enough nature around us to clear our minds, giving us a break from our busy lives, while working up some exercise with a fast-paced walk. Walking along with the sun on our shoulders, wind in our hair, and beautiful sounds of nature’s creatures around us was truly a delight for all the senses. Looks like a real gem!